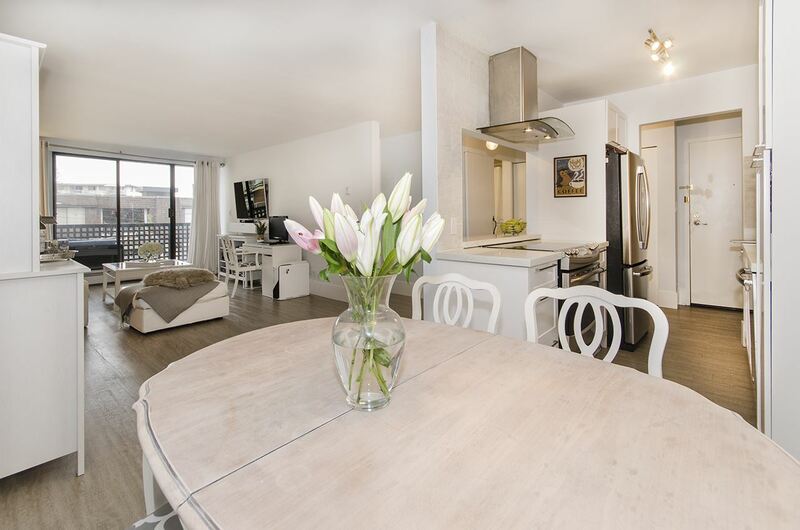 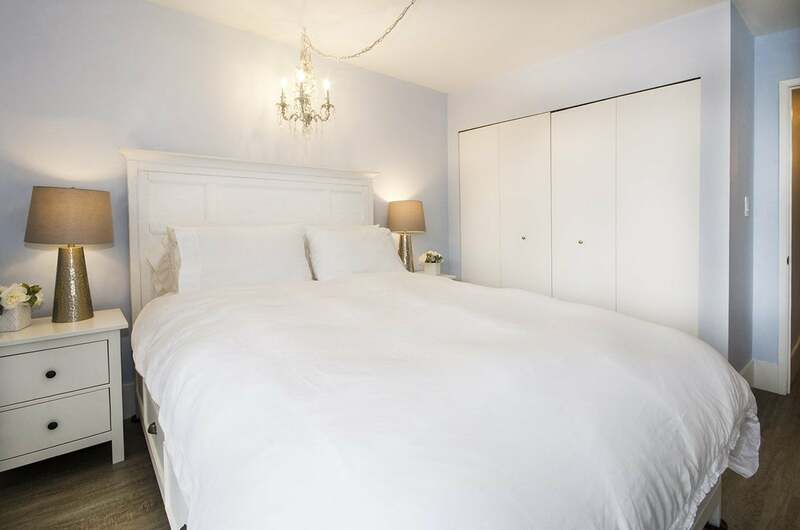 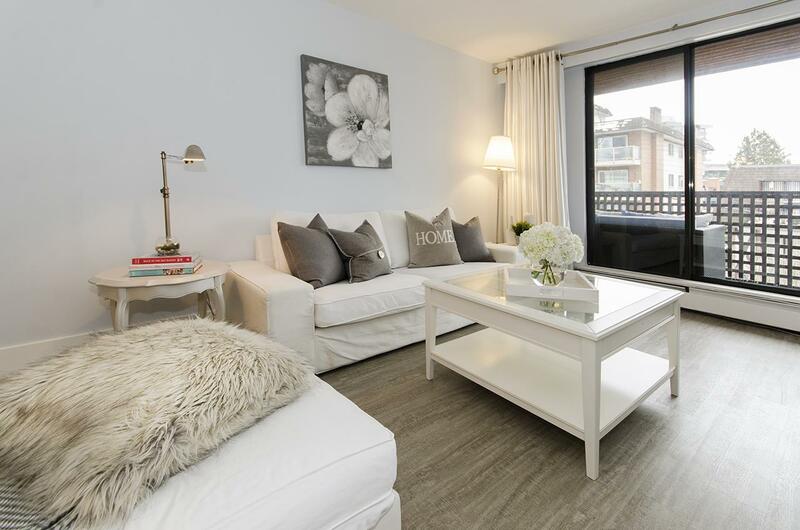 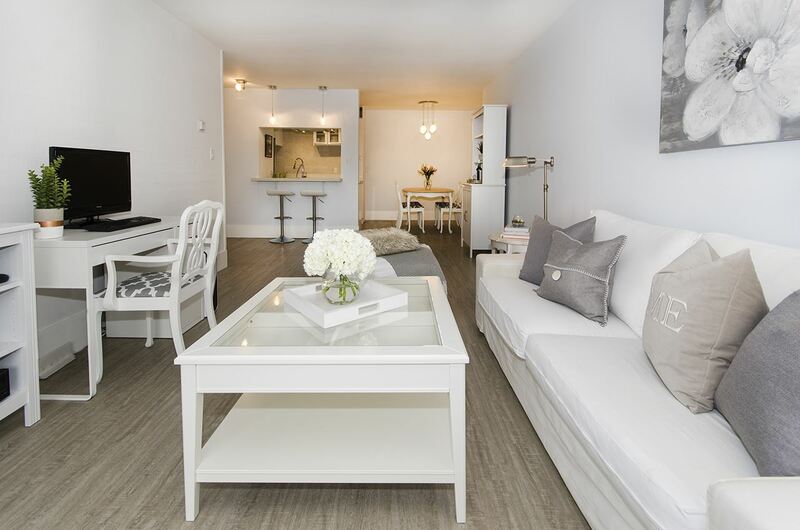 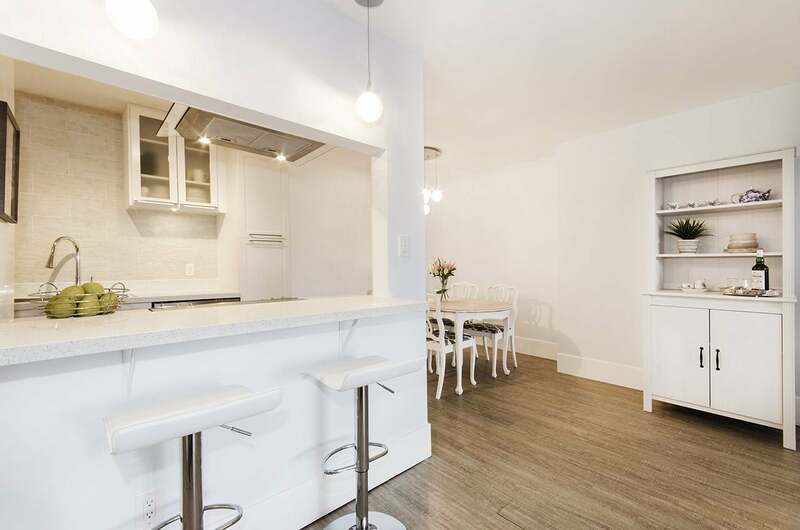 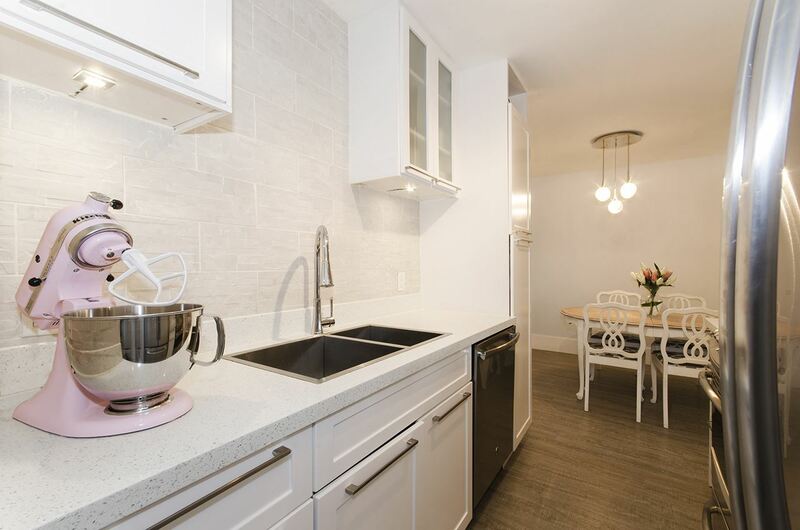 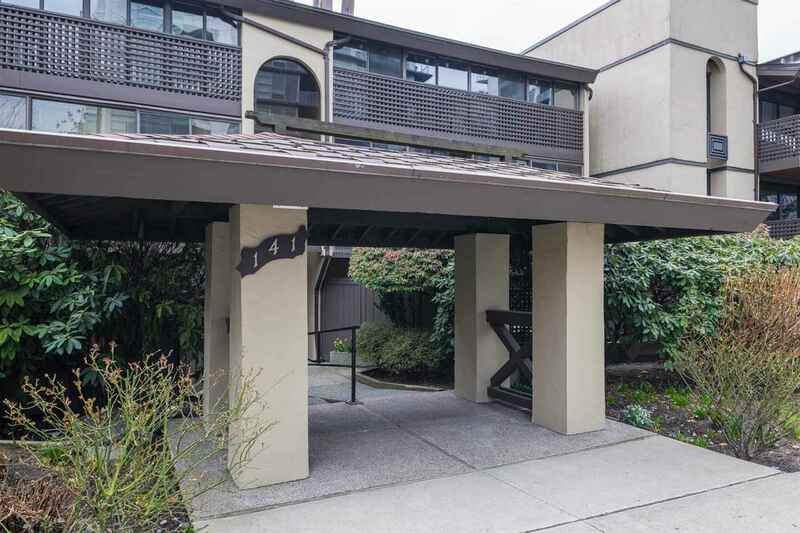 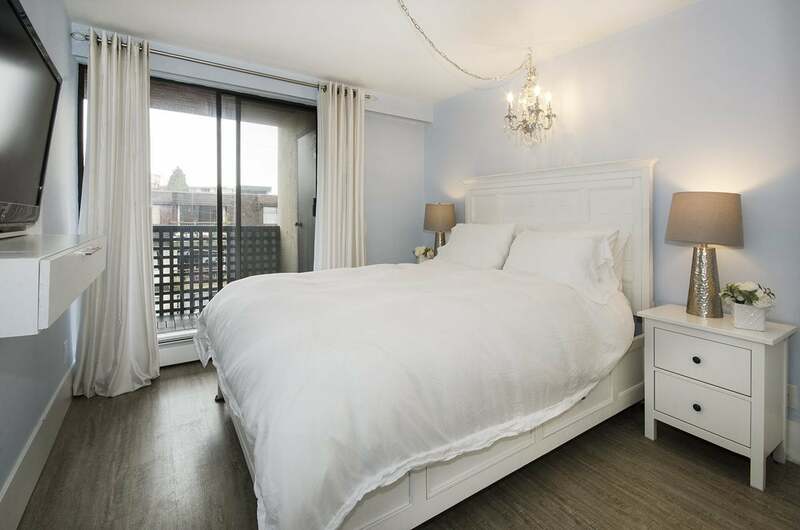 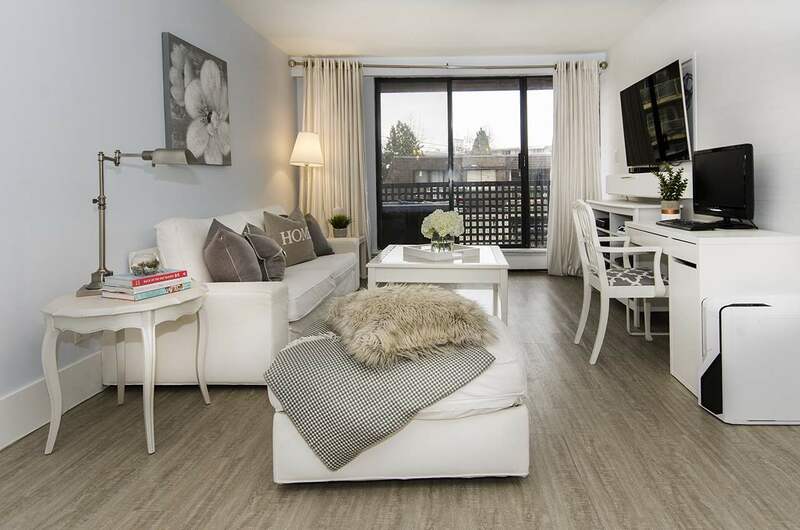 Chic and contemporary one bedroom suite in the heart of Central Lonsdale. 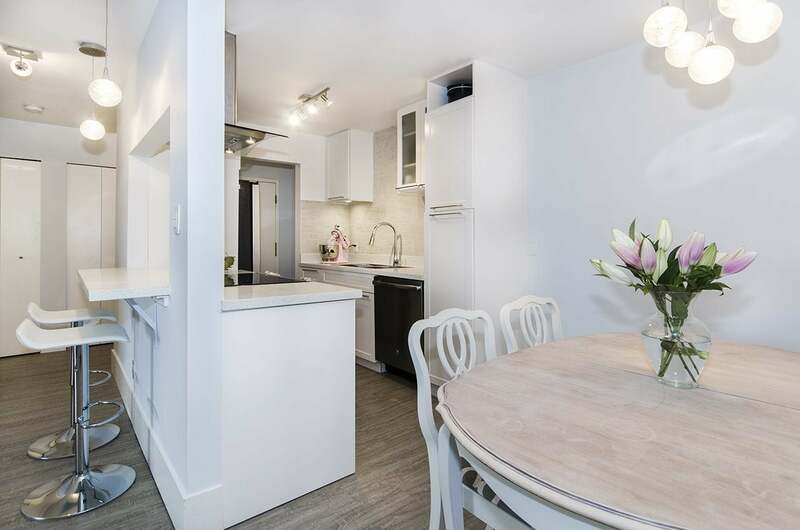 Renovated with permits, this exceptional layout offers 724 sq.ft in a well run 19+ age restricted complex w/ lots of upgrades. 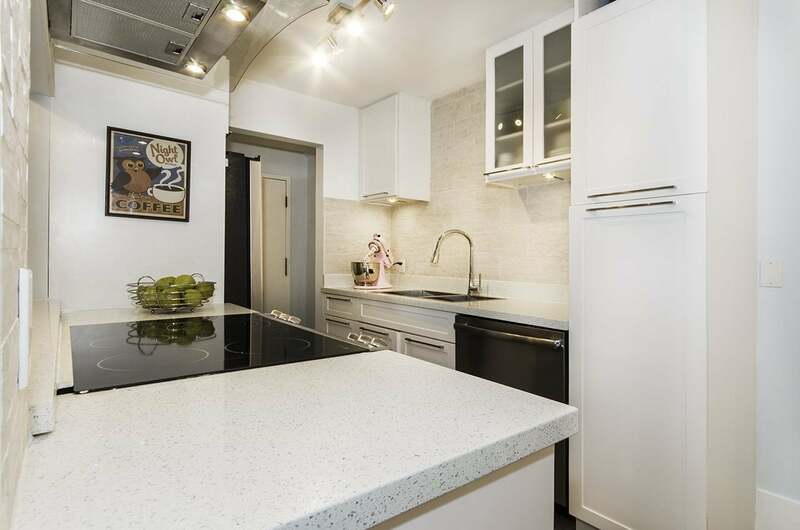 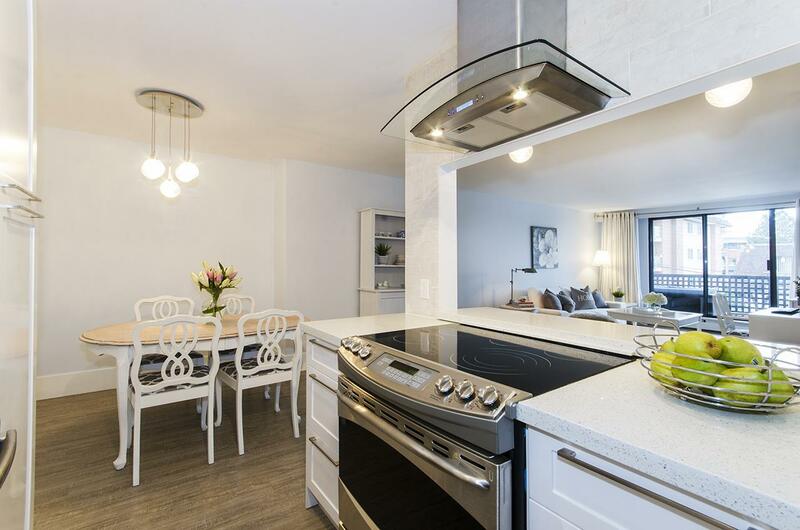 The chef in you will enjoy the open kitchen design w/ quartz counters, stainless steel appliances & ample cabinetry. 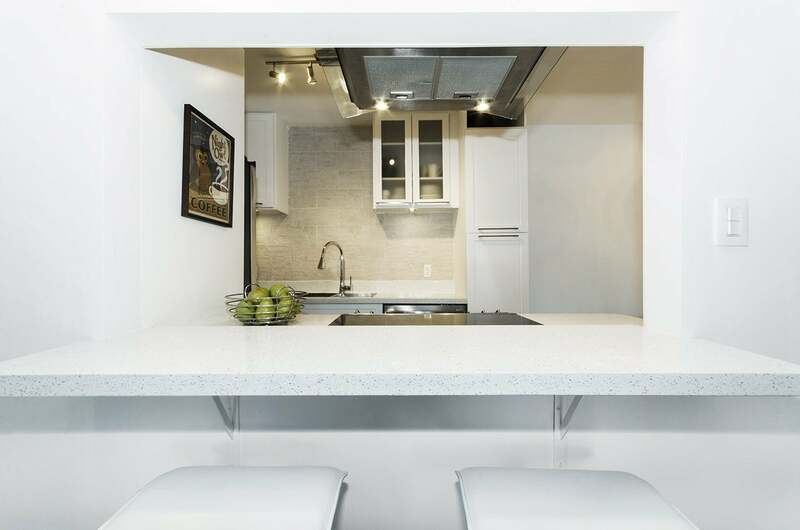 Large principle rooms allow you to bring your house-sized furniture and entertain with friends and family. 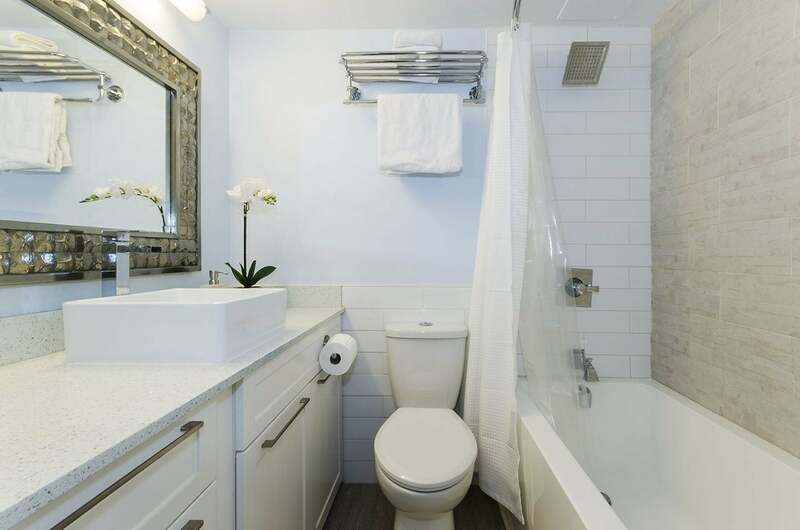 Enjoy the spa-inspired bathroom featuring a deep soaker tub & tiled backsplash. 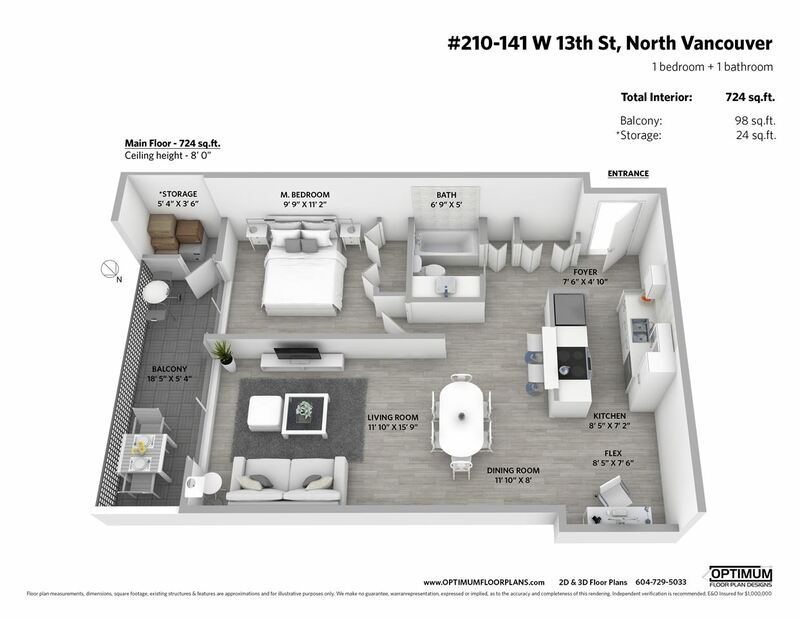 Lots of in-suite storage plus a private storage locker on the deck. 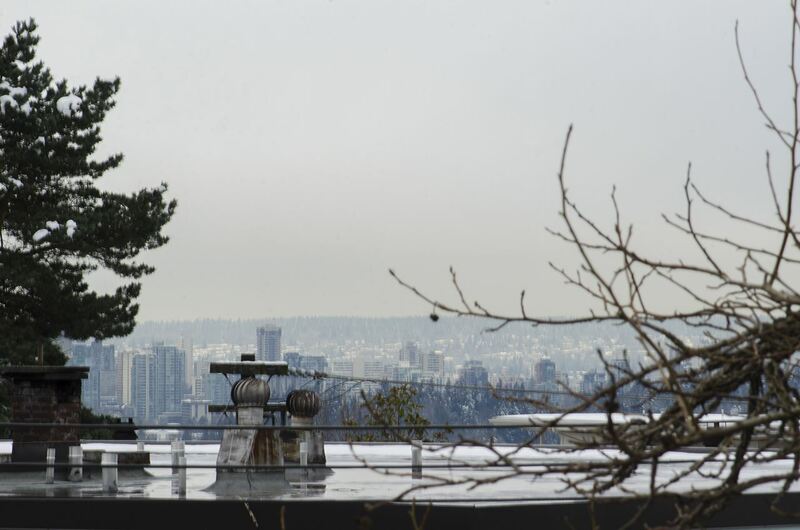 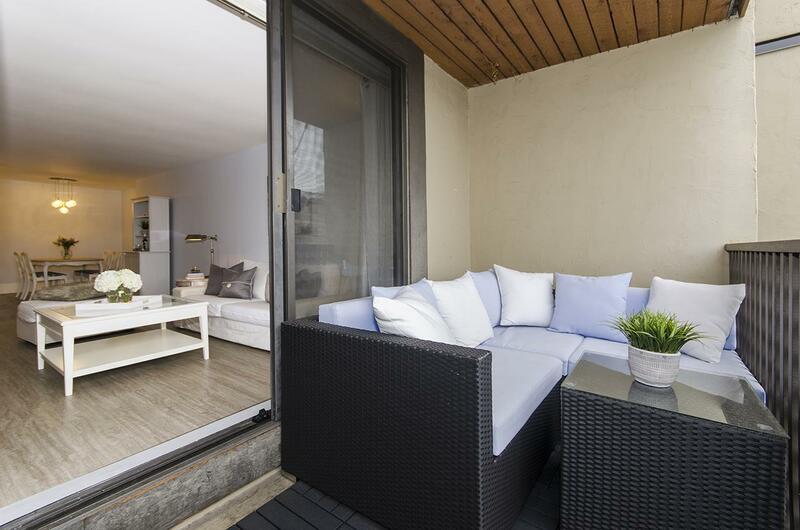 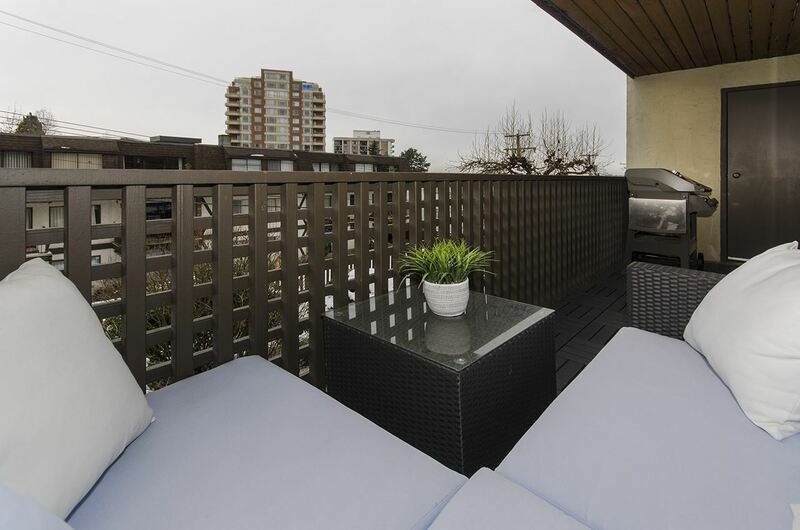 The ideal south-facing balcony offers peek-a-boo views of the Vancouver city skyline and captures gorgeous sunsets. 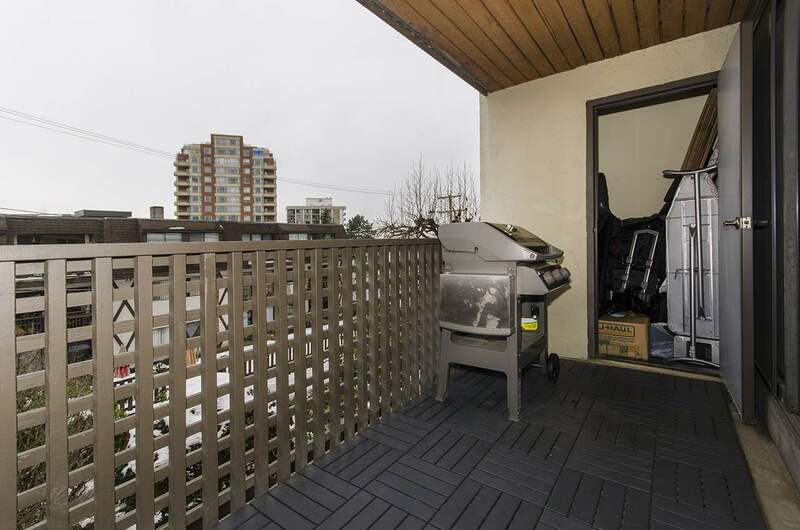 BBQ's and 2 pets allowed. 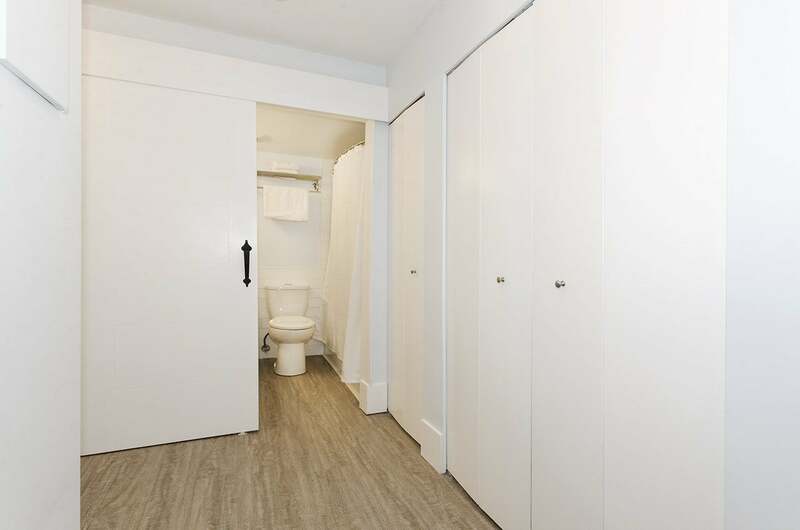 IN-SUITE laundry & 1 parking.